A new bracelet and ring set could be the ticket to help those who are hearing impaired communicate better. Sign language is a great option for the hearing impaired to communicate. Unfortunately, most people don’t know sign language and the deaf are often left out of conversations. The Sign Language Ring by a group of designers from Asia University utilize 6 rings to translate the wearer’s sign language movements into voice, which is emitted by the bracelet. The bracelet also converts other people’s words into text, which the wearer can read. 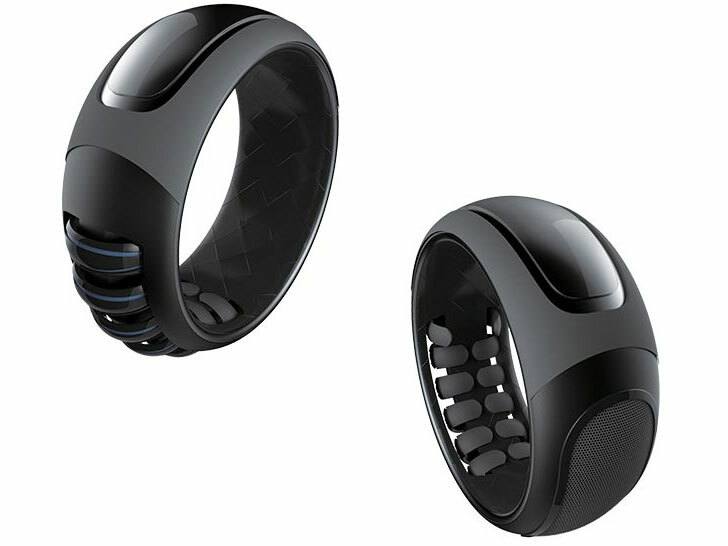 The Sign Language Ring is one of the winners of the 2013 Red Dot Design Award. Cao Zu-Wei, Hu Ya-Chun, Huang Ching-Lan, Liao Po-Yang, Tsai Yu-Chi, and Yang Yi-Hsien from Asia University came up with the concept. The wearable device is made of two parts – the bracelet and the rings. Six rings are worn on the thumb, pointer and middle finger of each hand. Digitally enhanced, the rings are able to understand and interpret the movements of the hands as they relate to sign language. 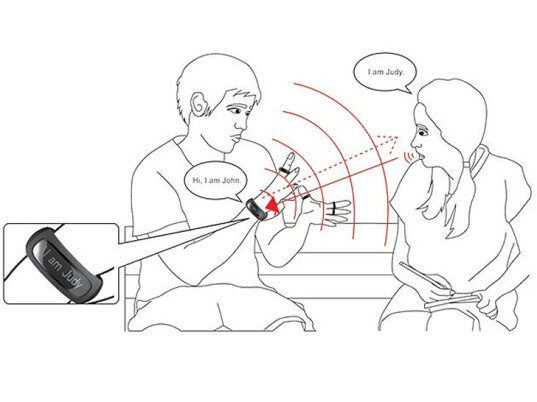 They then communicate the words to the bracelet, which emits a voice translation to nearby listeners. Wearers can even program the rings and bracelet to understand customized or shortcut movements for even easier communication. The device also works in reverse by picking up words of other people and converts them into digital text, which reads out on the bracelet. In this way, someone with a hearing impairment can communicate easily with anyone. When not using the rings and bracelet, the rings can be stored in the bracelet so nothing gets lost. The designers say that inspiration for the Sign Language Ring concept came from Buddhist prayer beads. what is device name which converts the sign language into text????? A new bracelet and ring set could be the ticket to help those who are hearing impaired communicate better. Sign language is a great option for the hearing impaired to communicate. Unfortunately, most people don't know sign language and the deaf are often left out of conversations. The Sign Language Ring by a group of designers from Asia University utilize 6 rings to translate the wearer's sign language movements into voice, which is emitted by the bracelet. The bracelet also converts other people's words into text, which the wearer can read.